Well, Walmart.com has lost its mind. 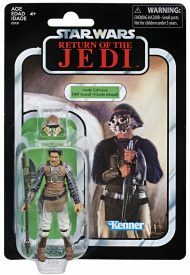 After canceling some people’s orders, and holding other’s orders in limbo, the exclusive TVC Lando Calrissian is now listed as back in-stock. You can go order it now, and hope you get one! Personally, my order is listed as ‘shipped’, but I will believe it when it arrives since it doesn’t actually have a tracking number. Thanks to JTA viewer Mark for the in-stock alert! Kessel Product Prices Dropping By The Parsec! It looks like the Kessel Run Millennium Falcon isn’t the only thing with a major price drop this week. 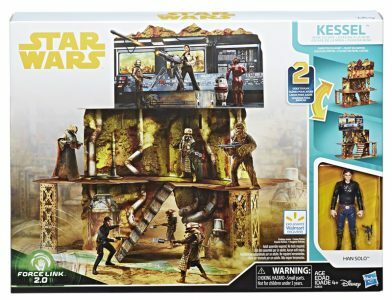 The Walmart exclusive Kessel Mine Escape Playset has dropped to 50% off, now at $19.99 on Walmart.com. Thanks to JTA reader Steve for the alert! 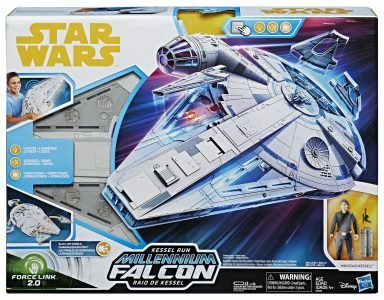 It looks like Walmart.com is trying to compete with the Imperial Combat Assault Tank. They’ve reduced the price to $37.97. Special thank to Shane G. for the alert! TVC Imperial Combat Assault Tank Almost 50% Off At Walmart Online! The Vintage Collection Imperial Combat Assault Tank is marked down to $40.79 at Walmart.com. Special thanks to JTA reader and friend Martin M. for the alert. ← HURRY! 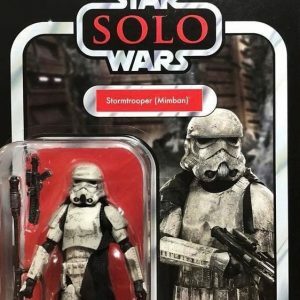 TVC Range Trooper IN STOCK At Walmart.com! TVC Luke Skywalker [TLJ] IN STOCK At Walmart.com Too! Hurry! Order The Vintage Collection Luke Skywalker [The Last Jedi] at Walmart.com! UPDATE: And he’s history! Out of stock! With special thanks to JTA reader Craig F., here are some links to Force Link 2.0 figures for the normal retail price of $7.97 each! ← UPDATE: The Black Series [Phase III] 6" Chewbacca Revealed! Walmart.com is also taking pre-orders for new The Black Series [Phase III] 6″ figures. Thanks to DarthDad for the link.